Discover Spokane's Favorite Boot Camp Below! Members have access to the area's best training, via our live boot camp classes, or our Workout Anywhere app. 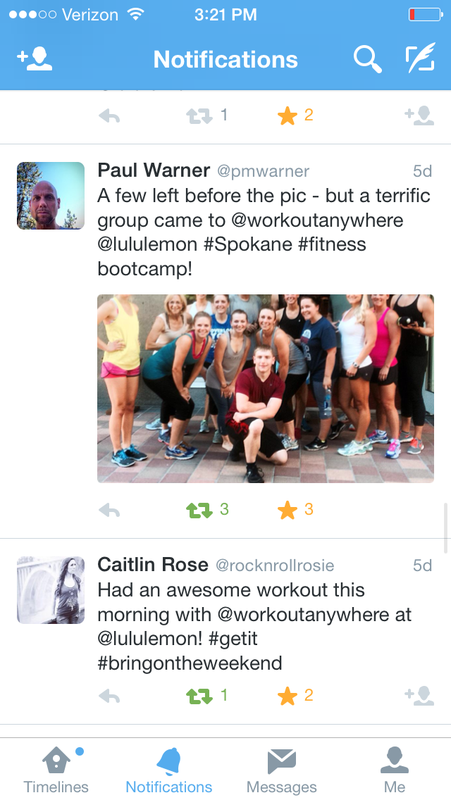 Workout Anywhere is Spokane's #1 Boot Camp For a Reason. Over the past decade, we've served over 3,000 member goals. Many of our original members, still use our boot camp or app lessons today. If you're interested in getting started, back on track or avoiding another FITNESS HIGHLIGHT, join our healthy lifestyle program today. How does your current boot camp or trainer stack up? Our primary location is conveniently located for Mead and Colbert residents. Additionally, we can bring the boot camp to local businesses and groups based on demand. Not monotonous. We provide NEW fat burning workouts and the latest exercises every boot camp. With our boot camps and online training, you'll receive the RIGHT appropriate push and get the same results. It's simply how the body works and we respect that. We have one primary North Spokane boot camp location, but beyond that, we train at your place of work! Members use our programming at home, outdoors, on the road and literally ANYWHERE! Plus, You'll Get More Than The Area's Best Training. Member's Become Part of Our Team and Have Full Access to our Fitness APP, Meal Plans, Challenges, Community & Fit Tracking Right From Your Phone! Boom Baby!!! Thanks to Workout Anywhere coaches Jessica and Justin Rundle, I'm down 40lbs and feel great! Overall, I've lost 23.35 inches and dropped 15% total body weight. Time to keep this journey going! Being a busy mom and attorney makes life hectic! Thanks to Coach Jessica and Justin, I've finally lost the baby weight (30 pounds), and I feel GREAT! More Real people w/ Real results. Do you really know who your online or personal trainer is? Train with TRUE fitness experts, career trainers and the founders of Workout Anywhere by joining today!